You know what terrible NFL teams need right about now? A quarterback. And there’s no better way for the Los Angeles Rams to showcase their backup QB than a meaningless Week 17 game while the starters rest for the Wild Card game. 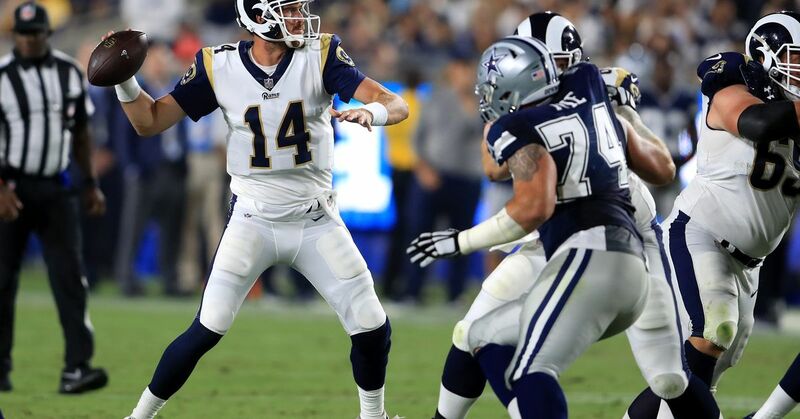 While many believe that this game doesn’t mean much for the Rams, it does function like a high-profile pre-season game that helps the front office decide what players to keep for next year. So, with that being said… let’s get bold. This is a great chance for Mannion to prove himself with relatively low expectations. He must have a chip on his shoulder right now, desperate to prove that he’s a starter in the NFL. Even though he only has one game to show his talents, he’s going to put up some silly numbers, enough that he’ll get the attention of NFL teams looking for a QB upgrade. Could his performance actually get some team to cough up a 2nd round pick in the off-season? Well, if we’re being bold (and we are,) then yes. You know what’s one aspect that I love about the 2017 LA Rams? Their depth at WR. Reynolds is just waiting in the wings with all the tools necessary to put up some big numbers and contribute to the passing game. This week, he’ll have a chance to step in and inflict some damage on the Niners D. Look for an amazing grab by Reynolds in the end zone that will instantly bring out the “that guys needs to play more” tweets. The Rams defense has been banged up as of late, so conventional wisdom says that the Niners will thrive with their new franchise QB keeping their winning streak alive. However, S Cody Davis is coming back to the roster, and I think he’s looking to prove that he can be trusted in the playoffs. I predict some key pass breakups and nasty hits in the secondary by Davis and S John Johnson. Was it just nerves last week or possibly just rust that needed to be shaken off with some valuable game-time experience? Probably both. Regardless, K Sam Ficken needs to prove that he belongs in the NFL and not missing a kick in Week 17 will be a fantastic start. In what might be his last year with the Rams, Tavon Austin is going to have a lot of opportunities to rack up some yards this Sunday with a whole slew of gadget plays. I see Austin breaking open a play for 50+ yards that ends up in the end zone. This is going to be a fun game for Rams fans because even though key starters will be resting, the rest of the team will be playing fast and loose against a divisional rival. As good as the San Francisco 49ers have looked in recent weeks, the Rams are a better team and will be able to prove it.